BoredGamer covering all things Star Citizen / Squadron 42 News, Guides & Gameplay. Literally every $ helps the channel and supports the regular content it produces! More than Just the Tip! Thank you sooo much for the additional support, make sure you poke me if you'd like to say hi! You will get a big thankyou, a mention on our website & a picture of my cat. Message me Questions and the like too, I shall answer where possible. Any additional "VIP" Giveaways across Patreon, Youtube Members & Twitch are normalized and included with this! Become a "SERVER KING" in Discord (be treated like "royalty") A short sponsor styled ad, mention or similar in our Star Citizen News, Video or Stream for you or your Star Citizen Organization. I'd like to get like 30 second or so clips in my news that are SC related and help out tool makers, Orgs or designers! Subscribing really helps the BoredGamer Channel create more and better content. Any additional "VIP" Giveaways across Patreon, Youtube Members & Twitch are normalized and included with this! 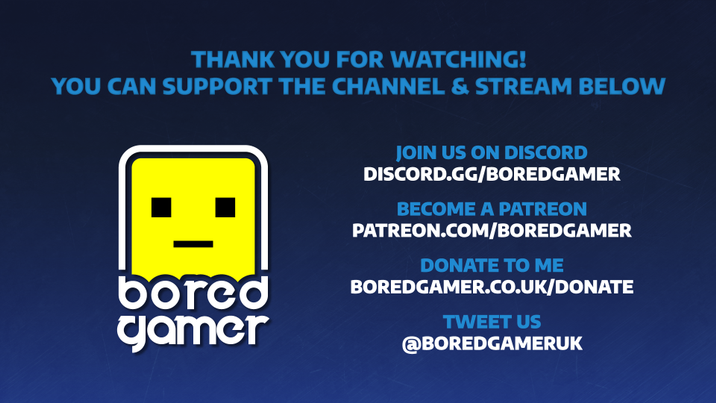 Helping to Support BoredGamer is a Major way!